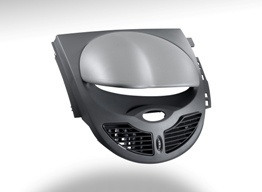 XANTAR® Polycarbonate & Blends automotive applications are predominantly found in car interiors. Specially developed grades offer solutions for demanding applications such as for instance air conditioning and venting nozzles, steering column claddings, dashboard components and interior lighting. XANTAR® based materials pass today's very stringent environmental requirements with respect to absence of heavy metals and undesired volatile components. They therefore match demands for fogging, emission of volatiles and odour in the car interior. With XANTAR® E, a blend of Polycarbonate and Polyester, the severest impact requirements can be met. XANTAR® C, a blend of PC and ABS, is available in several compositions to match the applications demands for heat resistance and impact. 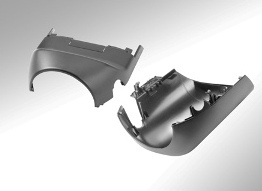 XANTAR® materials offer excellent surface finish - but they can be painted if desired.